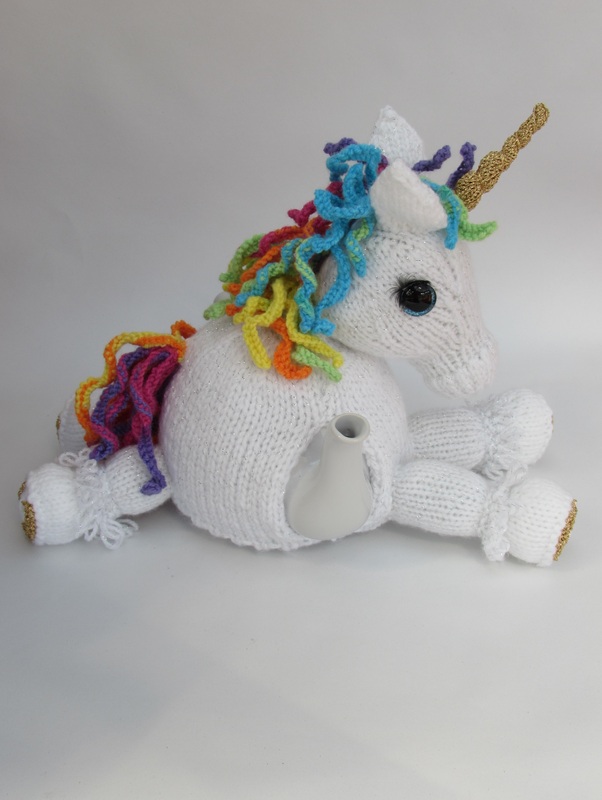 This is a legendary tea cosy featuring a unicorn. 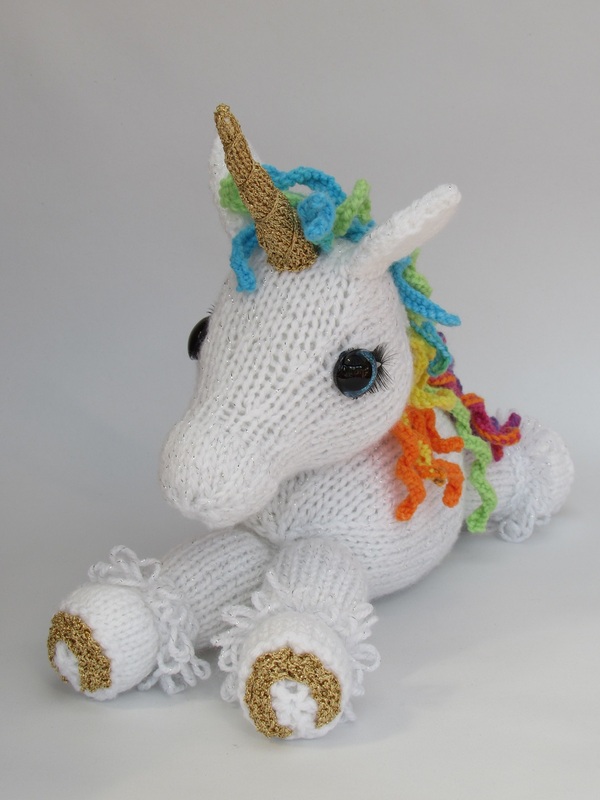 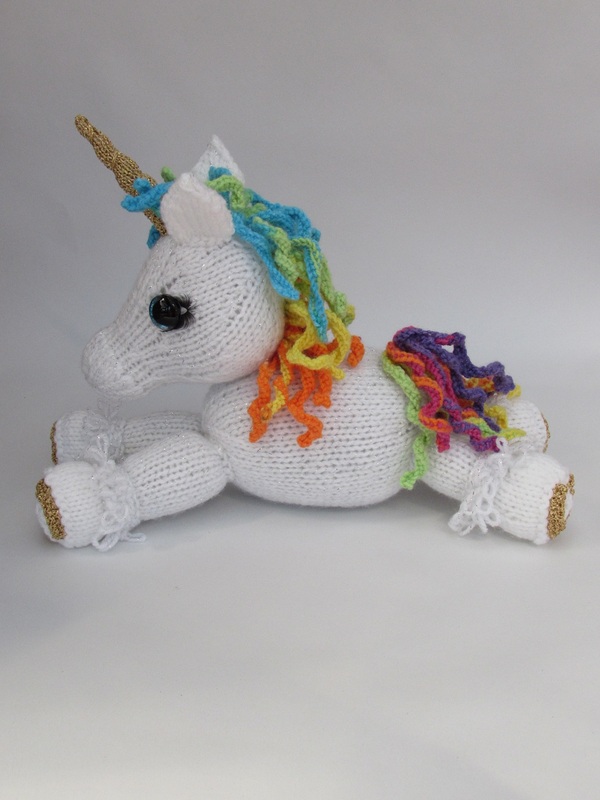 The unicorn has a silvery sparkle coat and a lovely rainbow main and tail. 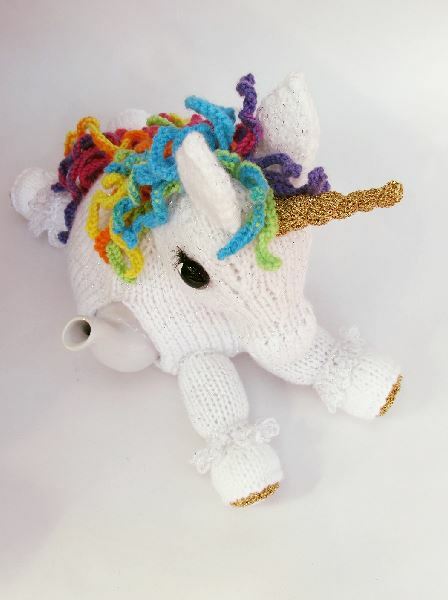 The twisted horn and horseshoes are golden and he looks very magical and very adorable. 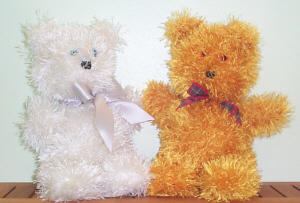 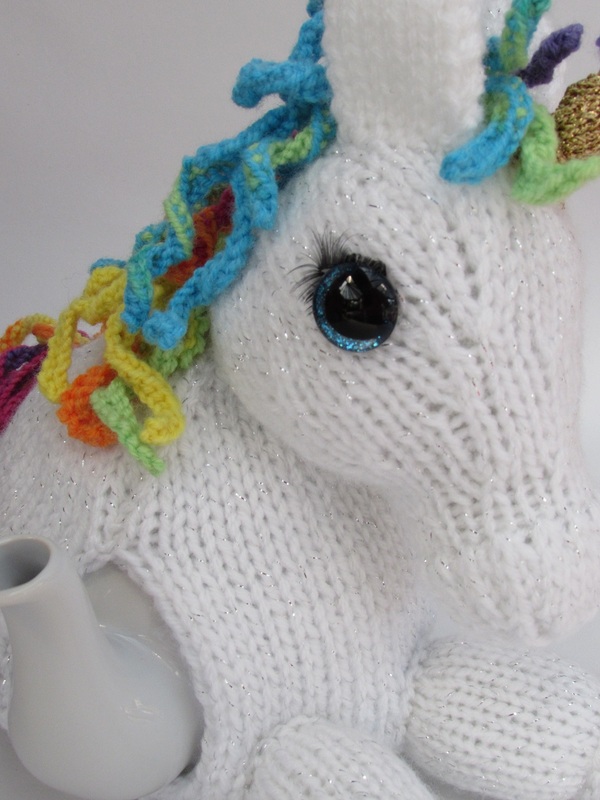 He also has blue sparkly eyes with eyelashes. 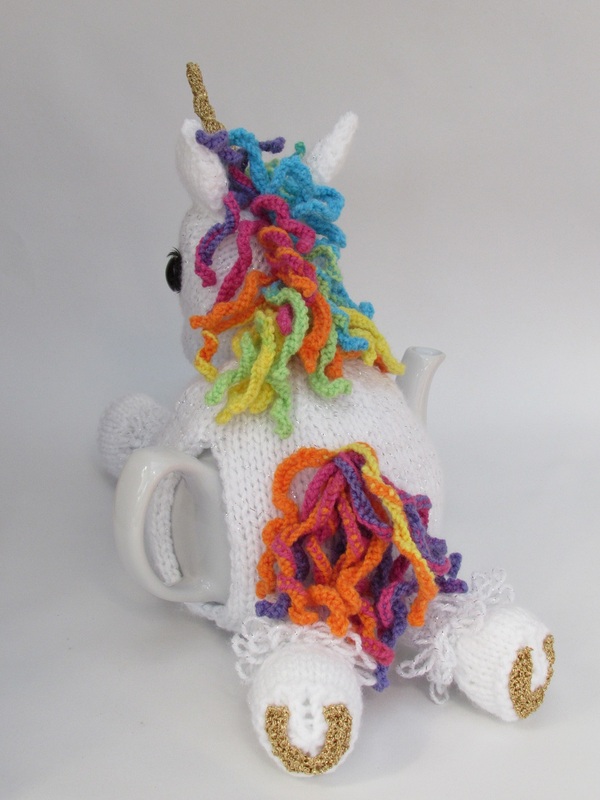 Being such a beautiful, elegant creature, I thought I'd throw everything at it and go for over the top magical. 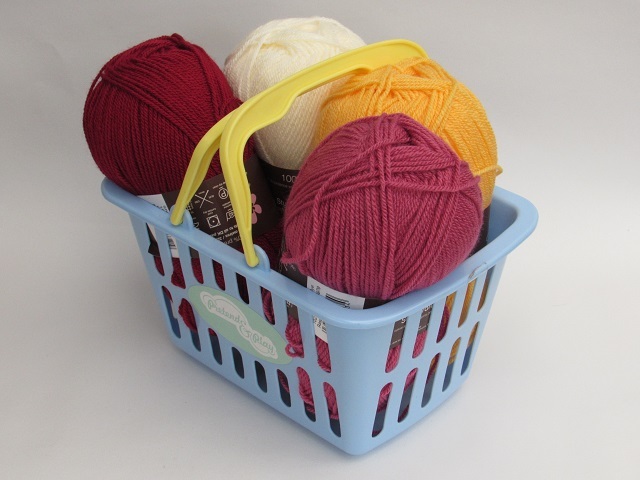 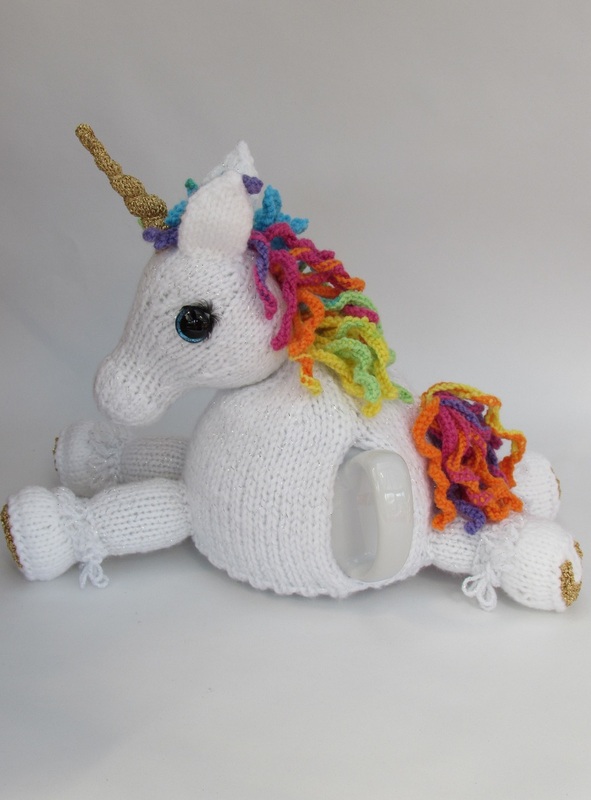 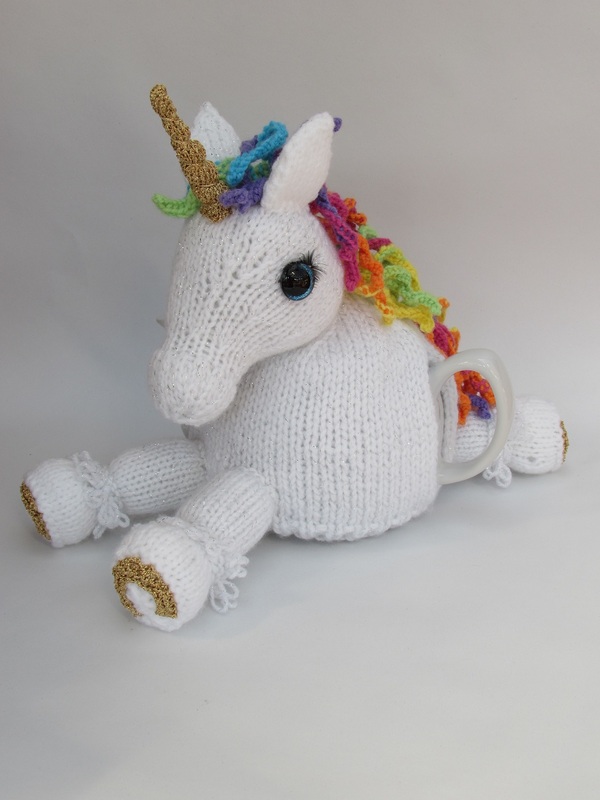 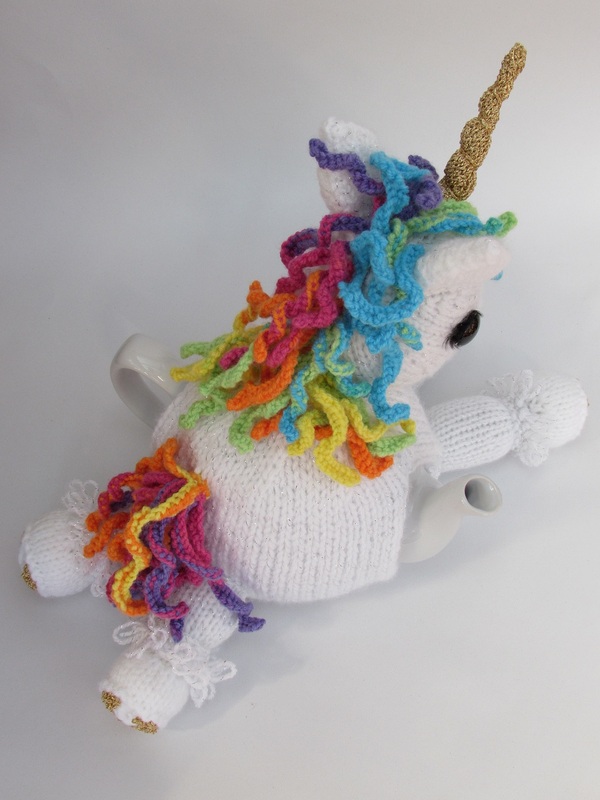 I designed the unicorn tea cosy to be in a leaping or laying type pose, with his legs out before and behind him because I wanted to be able to see horseshoes, which I thought would look pleasing. 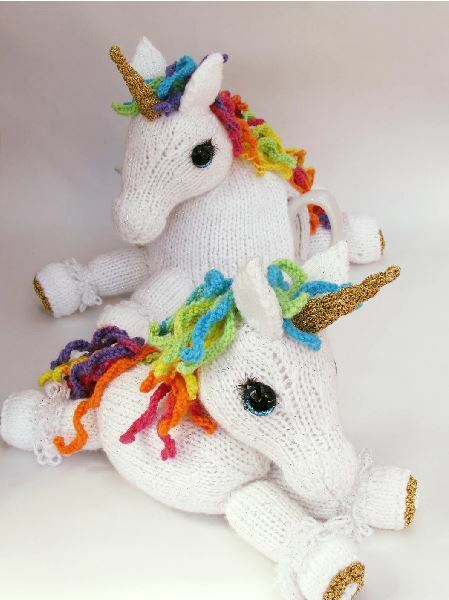 I based the horse parts on shire-horses because I love their chunky dimensions and feathery feet. 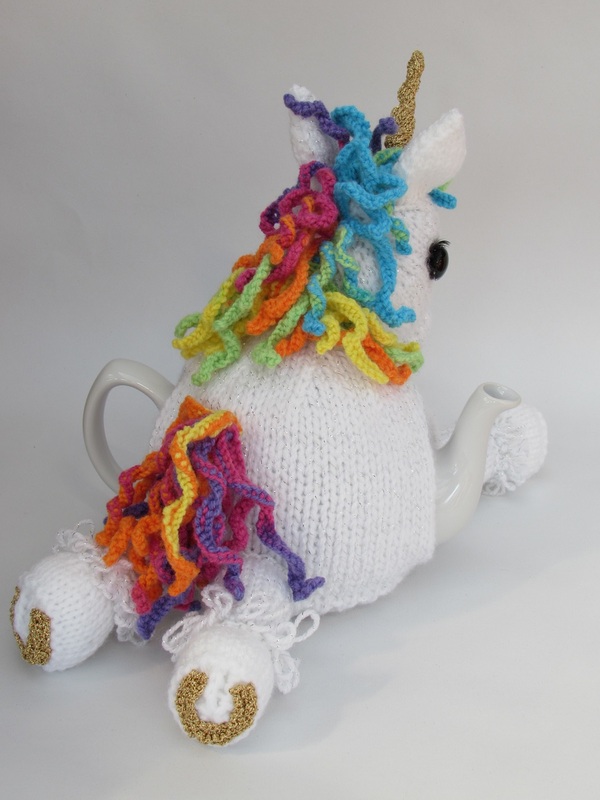 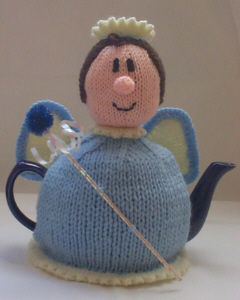 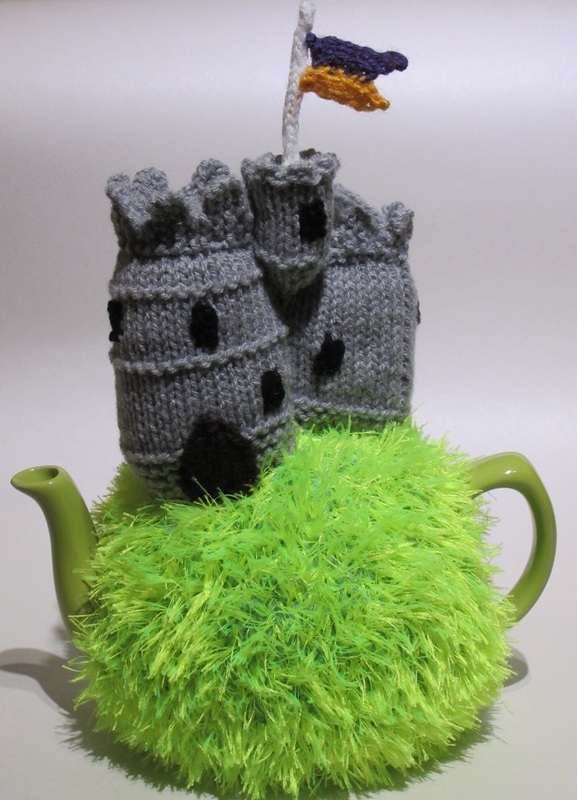 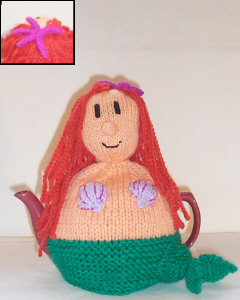 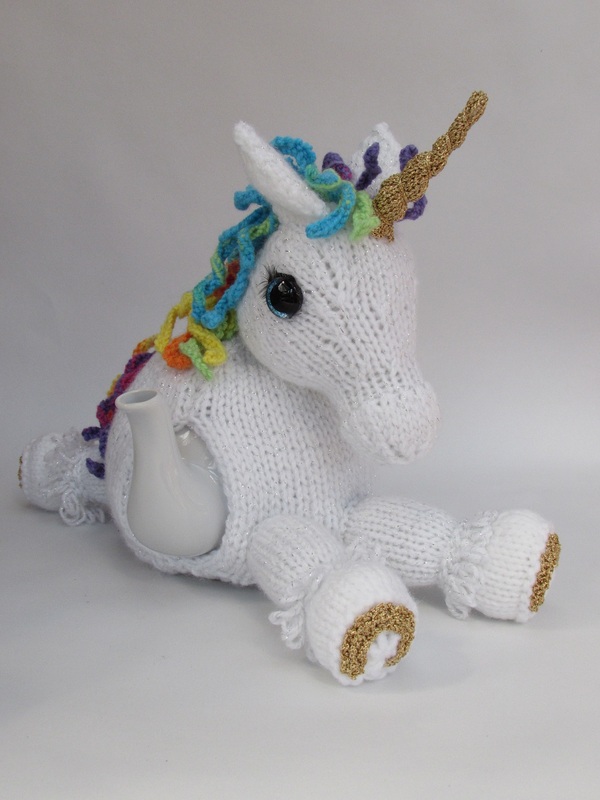 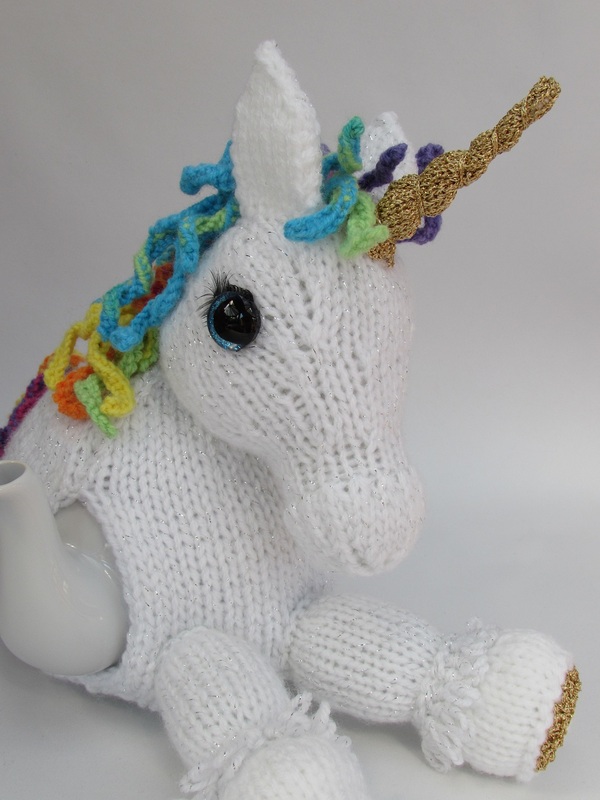 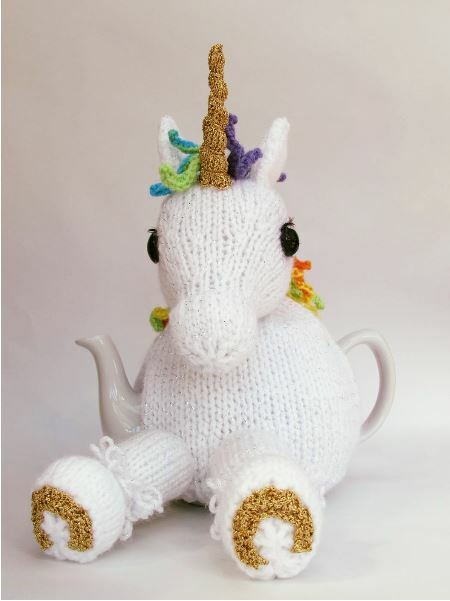 The secret to eternal youth and beauty is to drink from a teapot kept hot by a magical unicorn tea cosy.